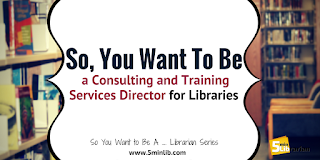 When I started working in libraries over 20 years ago, never did I think either of these words would be in a title of a position I would hold: CATS (Consulting and Training Services) and Director. I don’t like cats. And I never aspired to be a library director. So how did I end up here? Good question. Looking back on my career path, I’ve had the opportunity to learn and apply all sorts of great opportunities, some of which I admit I didn’t realize at the time how lucky I was to have. Hindsight provides a great lens for perspective. My dream library jobs include being a librarian at the Herrick Film Library, an Event Planner at the Boston Public Library, and a cruise ship librarian. But I’m very happy where I have landed. I’ve been building my career since my first job as a Page at the Shrewsbury Public Library. 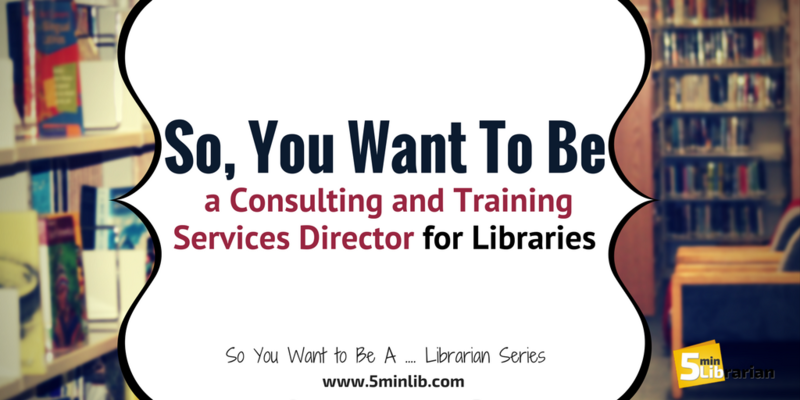 After being a Circ Assistant, ILL Librarian, and Electronic Resources Librarian, I finally found the position I thought I was born to do till retirement: Young Adult Librarian. Turns out, I was born to do it for 4 years. I moved on and became the Youth Services Consultant at the Metrowest and Boston Regional Library Systems. My role at MLS started with the Great Regional Consolidation of 2010, as a Youth Services Advisor, then after 5 or so years, I applied and was promoted to the position I currently hold, supervising 7 full time and 1 part time staff members. Our super fabulous team creates the consulting and professional development services MLS provides to our 1,600 member libraries. The biggest parts of my job include things I have always enjoyed doing: Learning from others, sharing my knowledge, organization, writing on walls, laughing, and including as many Buffy the Vampire Slayer references as I can. I try to approach everything I do with these key ingredients. I often plan and lead trainings internally for MLS staff, and a training is much more enjoyable if you use post it notes and write on the walls or use a Buffy MadLibs to demonstrate facilitation techniques. Goal setting is a big part of my ongoing planning…I can’t do anything without goals! Whether you supervise others or just want to give yourself a road to follow, goal setting will provide you with that line. When your mind begins to wander and you begin to feel overwhelmed, you have a compass to guide you back. It’s critical to your success and your library’s success. If you are unsure of where to begin, look to your library’s strategic plan. Base your goals off of what your library’s goals are. No need to be super specific; you can always adjust your goals and how you will accomplish them as you go. Leave room for things you can’t control. Another tip that took me a long time to understand is when to say no…and yes. It’s ok to say both! Stress can be very real and often we have the power to keep it at bay. Sometimes saying no to something you can’t take on at this moment is ok. But don’t forget to say yes, too! Saying yes to new opportunities helps you develop and keeps the dreaded work plateau at bay. Saying yes is what helps define your career path. And be ready to share your skills with some professional positions like committee work, elected positions, or volunteer opportunities. Sounds contradictory to saying no, doesn’t it? It’s really about knowing your personal limitations and aspirations. If you find yourself saying “it’s not my job”, then a supervisory role may not be for you. In the end, everything is your job. You are responsible for those you supervise and the work they do. To be a good manager or director, you’ll need to work with your team, not establish lines of them vs you. Some people feel once they get to a certain level or job title, that they can wipe their hands of old work and move on. For me, it’s not about doing the old work, but understanding it and remembering how the work impacts your team and your public. From there, you can build a service that positively impacts your library, your public, and your staff. Finally, don’t feel there is a time where you will be “ready” for a supervisory role. You’ll never be ready and even if you are, there may not be a job open. If you are nervous and excited, it’s the time to apply. Learn as much as you can about what will be expected of you, but be ready to work and learn for others, including your staff. You’ll need their support as much as they will need yours.